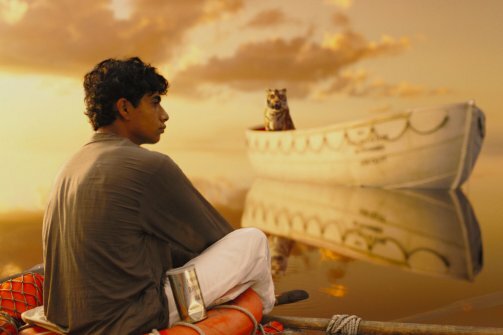 Life of Pi – What Is It Really About? The world isn’t just the way it is. It is how we understand it, no? And in understanding something, we bring something to it, no? Doesn’t that make life a story? 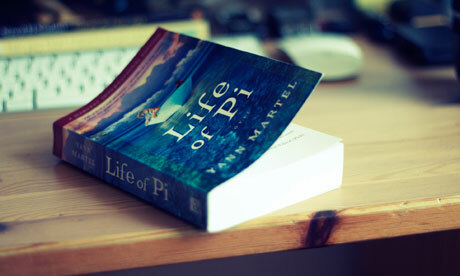 Life of Pi, by Yann Martel, is the story of Piscene Patel, or Pi, the son of a zookeeper from Pondicherry, India. Pi is the lone survivor of a shipwreck in the Pacific Ocean. Pi initially shares his lifeboat with an orangutan, a hyena, a zebra, and a Bengal tiger. Before long, only Pi and the tiger, name Richard Parker, are left alive. Over their 227-day ordeal, Pi gains dominance over Richard Parker and maintains it until the lifeboat finally makes landfall on the west coast of Mexico. In the book, Pi shares his story with two representatives of the Japanese government who are searching for the cause of the sinking ship. When they disbelieve his outlandish story, Pi offers them a second, boring yet believable story that parallels the first. He tells them that they can choose the elaborate, yet irrational story through faith, or they may select the rational, extremely believable version. In the end, they choose the irrational story, which brings you back to Pi’s name, an irrational number. Pi’s irrational understanding of faith is seen as he decides to follow Hinduism, Christianity and Islam simultaneously. He uses elements of the three religions to help him through the issues that plague him during his ordeal at sea. Throughout his experience, he credits Hinduism for introducing him to the supernatural, Christianity for acquainting him with the love of God, and Islam for familiarizing him with the daily discipline of intentional prayer. Even though Life of Pi contains elements from Hinduism, Christianity, and Islam, it’s my opinion that the book is not about religion. It’s a book about how our lives are filled with stories. Everyone, everywhere, is a storyteller, relaying the experiences of life in story form. The book suggests that people use stories to process reality, helping us categorize and compartmentalize the chaotic events of our lives. As Pi would seem to suggest, the approach we choose dictates our understanding of the world around us. 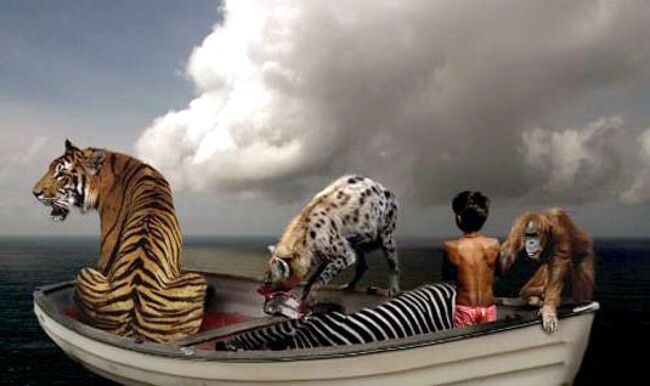 I enjoyed the book Life of Pi and the movie interpretation. It’s a good commentary on the stories of our lives. However, it may confuse people about these three major religions. No matter what Martel suggests, Pi was virtually a Hindu, adopting elements of the other religions into his Hinduism. The book also tends to drag on in parts, tempting the reader to skim or quit reading. The movie was very well done, staying true to the book for the most part. However, it portrays Pi as much more of a rebellious and physically adventurous child than the book. If you’ve read the book or seen the movie, I would be curious as to your comments.